The City of Palm Beach Gardens and the USTA Florida Tennis Management Division in Orlando were the two Florida recipients of a total of $100,000 in wheelchair tennis grants to grow wheelchair tennis programs across the U.S. from the USTA national body. Grants were awarded to 36 local organizations across the U.S. that promote and develop the growth of wheelchair tennis and use the sport of tennis to help build stronger, healthier communities. The first USTA Wheelchair Tennis Grassroots Grants were awarded in 2008, and since then the USTA has given more than $550,000 to wheelchair tennis programs across the country. Grant amounts were based on each program’s existing budget, as well as the future programming needs of the organization. Recipients can use the award to meet the USTA’s grant initiatives, including coaching, court time, equipment, recruitment and events. The USTA Florida Tennis Management Division operates facilities in Gainesville, Cocoa Beach and Fort Walton Beach. The USTA Florida Board of Directors in 2017 unanimously approved the creation of the division to promote and develop tennis in Florida. It delivers high-quality tennis programs, teaching pros and management, utilizing USTA networks and partnerships to ensure tennis grows in local communities for all ages and demographics. USTA Florida Tennis Management is raising the standards for tennis programming and facility management across the state of Florida. 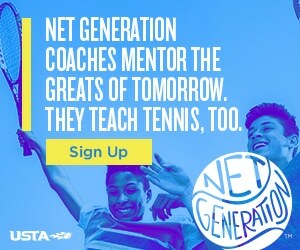 For more information go to www.ustaflorida.com/tennismanagement. To see all 36 grant recipients or for more information on USTA Wheelchair Tennis Grassroots Grants go to www.usta.com.